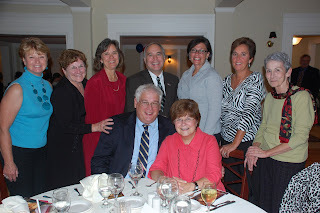 Columbia County Democrats: Martin Van Buren Dinner. A Huge Success! The Democratic event of the season was sold out. The 1st Annual Martin Van Buren Testimonial Dinner honored Denise King, Todd Parsons, Libby Helpern, Doug McGivney, Virginia Martin and Victor Mendolia and was a resounding success. The dinner was attended by a wide range of elected officials, committee members and supporters from throughout Columbia County and beyond.